Bears are strong, intelligent creatures significant to Native American tribes in the way they communicate with nature. They have the heart of a warrior and the element of surprise when hunting their prey. This buckle shows elegant multi-colored inlay complimented by dazzling sterling silver. Alluring stones are inlaid by Silversmith “JD”. 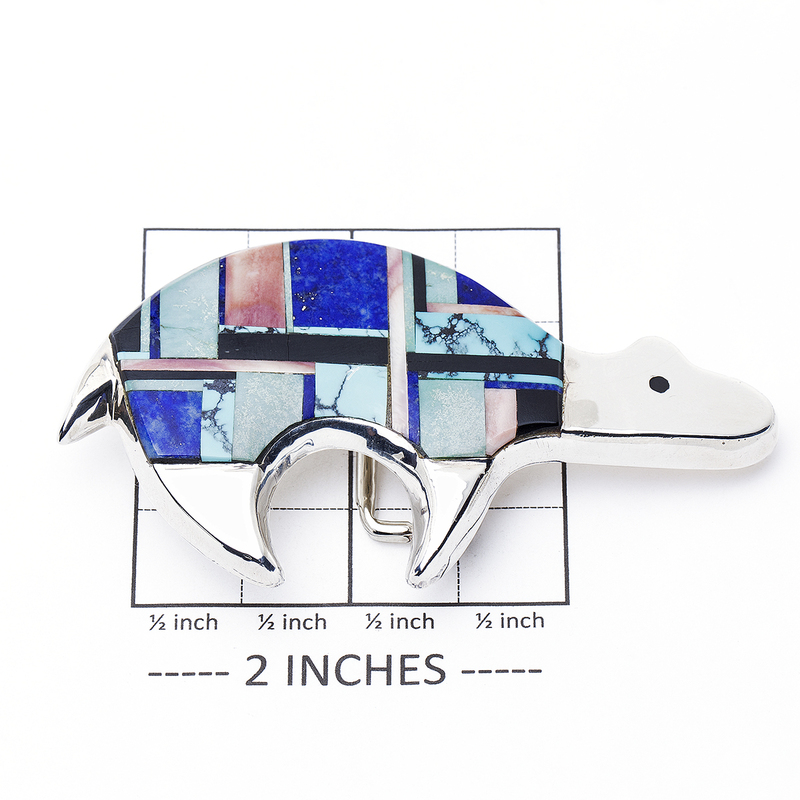 This buckle measures 2″ in height by 3 1/4″ in width. 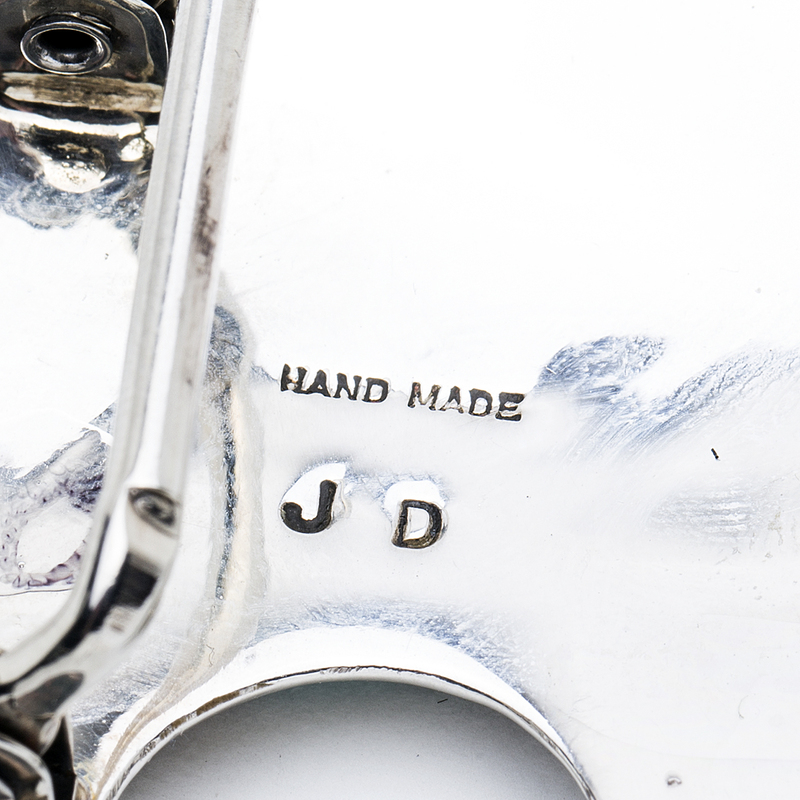 Hallmarked “JD”, “Handmade” and guaranteed to be Sterling. This buckle weighs 53.1 grams. We also offer free gift wrapping with each purchase. 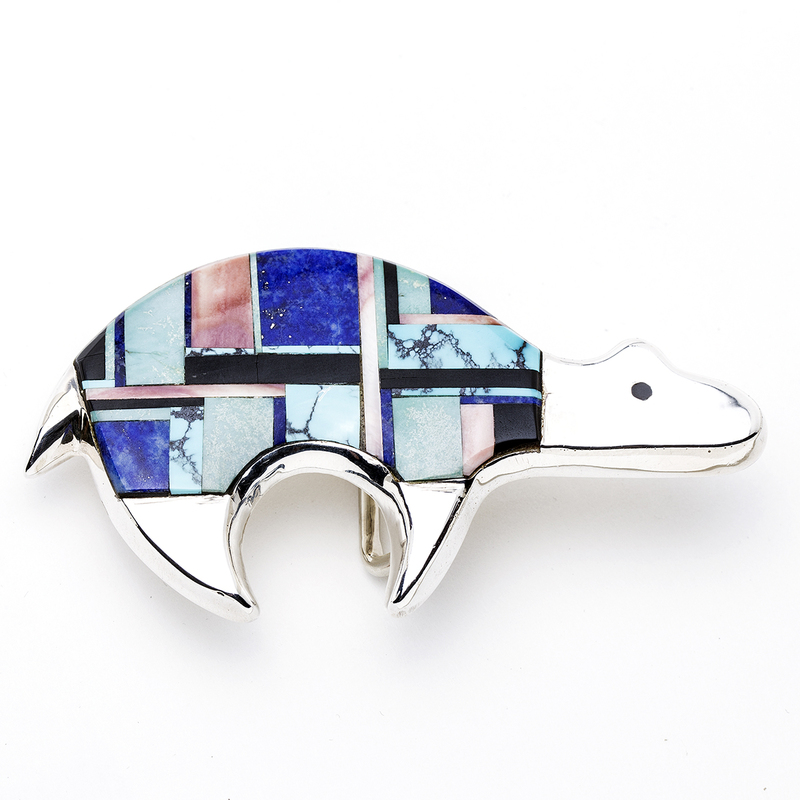 Multi stone Inlaid Bear Buckle features brilliant blue Turquoise with bits of Lapis, Onyx, and Spiny Oyster. Handcrafted by a talented silversmith!